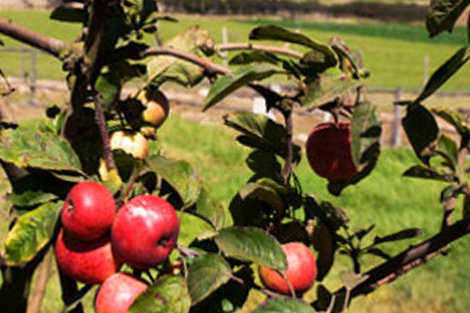 Wherever we grow, Honeybear is dedicated to producing, packing and supplying the very best eating apples to our retailers and their customers. We’ve developed long, trusted relationships with the most sophisticated agricultural companies in the best farming regions in the world. And we partner with growers across the United States and southern hemisphere – growers who understand their local micro climates, regional advantages and can help Honeybear provide the very best local and national crops year round. In the Midwest, Honeybear Brands operates under the Mississippi River Valley Fruit Company label – a collective (including the original Wescott Orchards) of more than 30 local orchards up and down the Mississippi River Valley. From September through December these family-run growers produce 15 premium Midwest varieties, grown locally, harvested within days of maturity and shipped fresh to retailers. 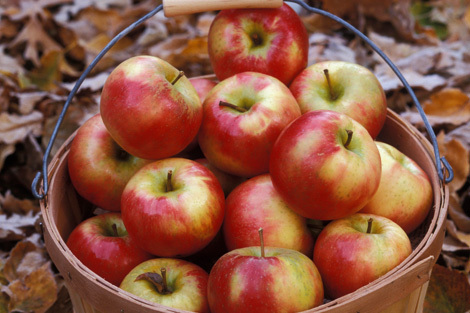 Stand out varieties include Honeycrisp and Pazazz, the latest variety from Honeybear Brands. From January through August each year, our Washington grower partners produce a wide variety of Honeybear variety crops. 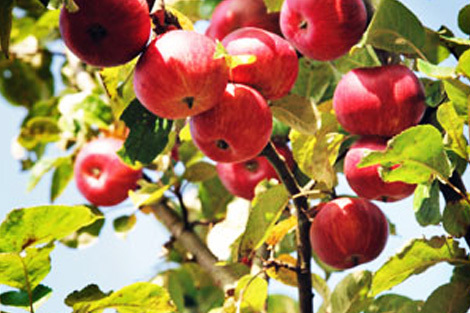 The area’s temperate, northern climate provides the perfect combination of warm weather, rainfall and cooler nights ideal for growing consistently high quality apples than when harvested and stored in climate controlled facilities offer a full schedule of mainline varieties through early spring. In Washington state, Honeybear both owns its own orchards and packing operations and also works with industry leading grower partners. Honeybear has a growing food service business supplying large scale commercial applications and local schools and universities with high quality fruit on a year round basis. We offer food service customers the same premium fruit and tested apple management expertise available to our other retail customers. 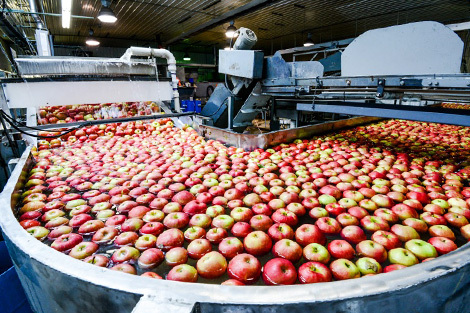 Food service customers appreciate Honeybear’s complete apple traceability as well as our rigorous attention to quality throughout the entire supply chain. Honeybear’s participation in the Farm to School program is an example of our commitment to promote healthy eating habits in schools while supporting local growers. We work tirelessly with school districts and state organizations to provide educational institutions with locally grown fruit for a full array of food service programs. This helps schools meet their financial objectives for managing tight budgets and, enables our growing partners to supply local schools with high quality fresh fruit. 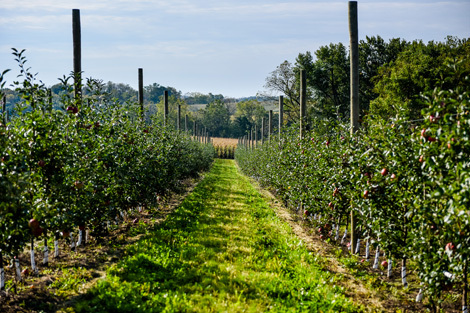 In this southeastern Canadian oceanfront location the cool climate and rich soil provide excellent conditions for premium regional apple production. Many of Honeybear’s most successful varieties, including Pazazz, are grown in orchards throughout the area, with the best quality crop harvested from mid August through December. In Nova Scotia, Honeybear partners with Van Meekeren Farms in the Annapolis Valley on all current varieties as well as the development of new varieties in Honeybear’s varietal development program. When northern hemisphere orchards are unable to grow during the off-season, Honeybear works in close partnerships with a network of carefully select growers who meet our strict environmental and quality standards. In perfect growing areas including Atacama in northern Chile to Los Lagos in the south as well as the Napier Hawkes Bay region of New Zealand, our partners grow in temperate climates and fertile soils to help us produce year round favorites during peak growing season. If you love apples, you’ll find a variety to suit your taste at Honeybear. 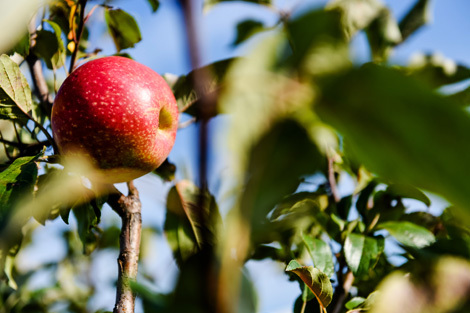 Since our early days as a local Minnesota orchard – and for 40 years now – we’ve been meticulously growing and producing the best eating apples. Today we work with a network of growers in regions around the country who really understand their local climates, soil conditions and the factors that guarantee outstanding apples year upon year, season after season. We were the first grower to produce the Honeycrisp apple. 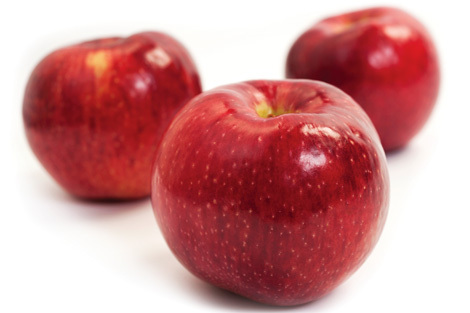 Today we offer national favorites, regional specialties from Washington State, New York, Nova Scotia and beyond, as well as all-new varieties like Pazazz, the new wonder apple that offers wow right now. At Honeybear we’re also committed to doing the right thing. It’s why we created TruEarth, a program of best practices growing that protects the land, local wildlife in our orchards and guarantees the very best fruit – and supports our local growers and their families on your doorstep.